Kenner US 41B, C, D, E Card List. A few people on RS came together to nut this one out. Basically I, and others, had suspicions that after the 41A card was released, they issued the 41B and C at the same time. Some of the characters on the B card and the rest on the C card. I believe they did this to show more product available on the back of the cards at the point of sale and if someone bought a few figures there was a chance to advertise more product once the items left the stores. Same goes for when they did the 41D and E.
Anyway here is the list if you haven't seen it. Also a link to the thread, which ended up having John kellerman come in and confirm things for us. Turns out it was something he was going to nut out in the second edition of his book. I just thought it maybe a handy list to have here for any focus collectors who are still wondering themselves. Nice Christmas colors but more importantly,great list! 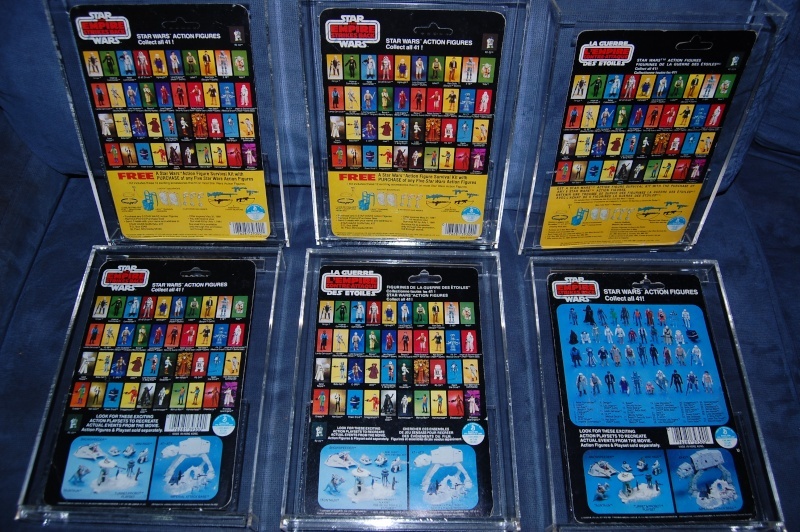 Josh, a simple question - is it humanly possible to collect all 41 of the U.S. Kenner carded figures in both 41B and 41C card backs as listed below? Has any other vintage collector in RS (apart from Broc who has completed his run of 41A "Survival Kit Offer") who is ciurrently close to doing this? How about sharing the pictures of your TESB 41 Card Back : 41A, 41C and 41E Dengar to share here? Sorry, I did miss this post Will take some pics today Pete. 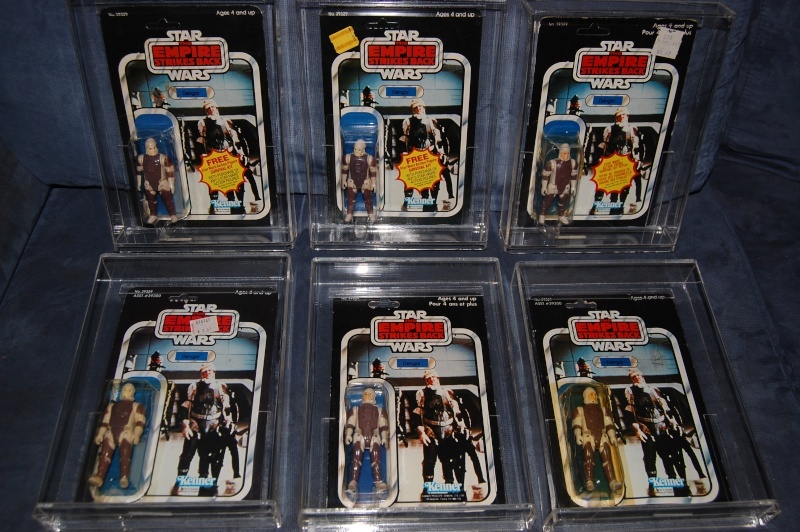 Oh wow Josh you've got both the U.S. Kenner TESB 41C Card Back and Kenner Canada 41C Card Back for your Dengar focus, in addition to the relatively common U.S. Kenner TESB 41A and TESB 41B Card Back Dengar. Superb mate, superb! Subject: Re: Kenner US 41B, C, D, E Card List.